Pre-order bonus: unique "Skyblazer" title. Pre-order bonus: unique "Reaper" title. Pre-order bonus: unique "Fire-raiser" title. This offer is available for PC, Mac and Linux users. New packs will be available on the PS4 and Xbox One platforms after the release of update 1.85. PS4 and Xbox One players will be able to receive pre-order bonuses in the first two weeks of the new packs sale start. The latest version of the legendary Sabre, the F modification for the American Air Force, will become the new top premium aircraft in the US research line. The aircraft was developed to deliver nuclear weapons from low altitudes, for which the fighter was equipped with a special targeting system. 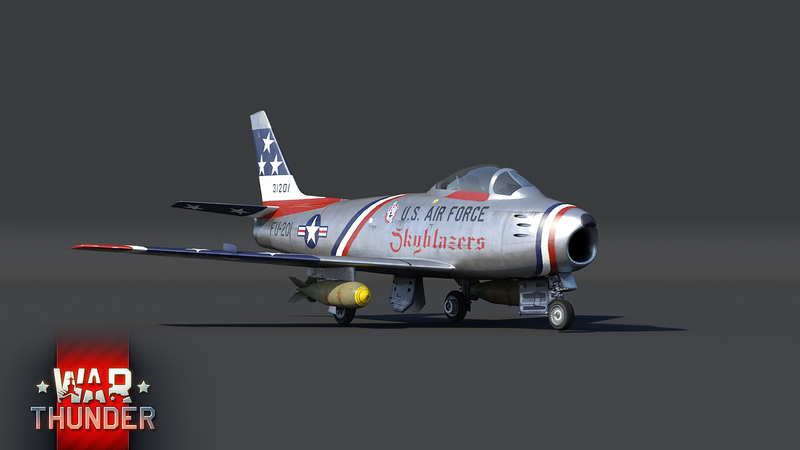 There are no nuclear bombs in War Thunder, but there are premium bonuses for rank V fighters and one of the most gorgeous camouflages in the game – the F-86F-35 bears the colors of the American aerobatic team known as the Skyblazers. The F-86F-35’s pilot, and his helmet, have been exclusively modelled and painted in Skyblazers colours. The armament of this new premium aircraft is the same as the top Japanese F-86F-40: high-caliber machine guns with a high rate of fire and 16 HVAR rockets or a pair of 1,000-pound bombs. 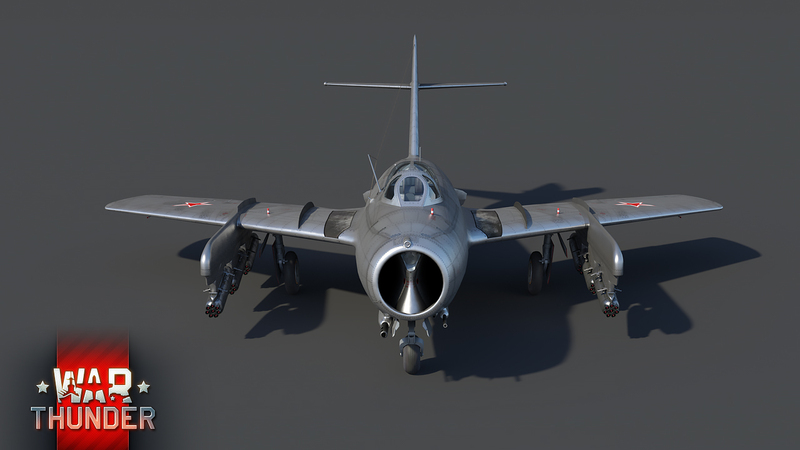 The Reaper is a special version of the excellent British Gloster Meteor F Mk.8 fighter with several upgrades: the wings have been reinforced, and, most importantly, the quantity of suspended weaponry has been increased. 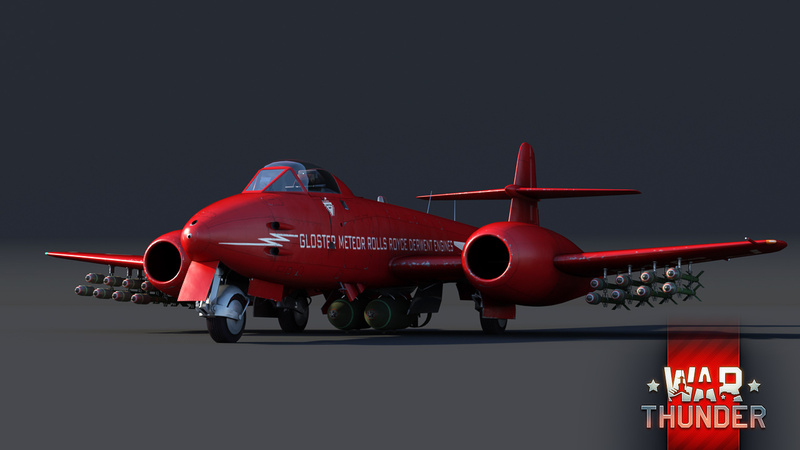 The Meteor assault aircraft can carry 4 bombs of 1,000 pounds each or 24 RP-3 rockets. The Meteor F Mk.8 Reaper is not only an excellent aircraft for high-ranking air battles; it’s also an excellent choice for combined battles, where its awesome potential as an assault aircraft or elusive bomber is fully revealed.